Delegate math: Giuliani OK sans early states? 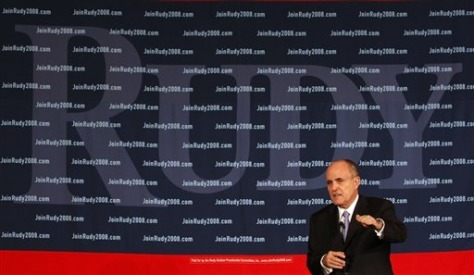 Republican Presidential hopeful Rudy Giuliani in St. Charles, Mo. on Monday, Nov. 12, 2007.